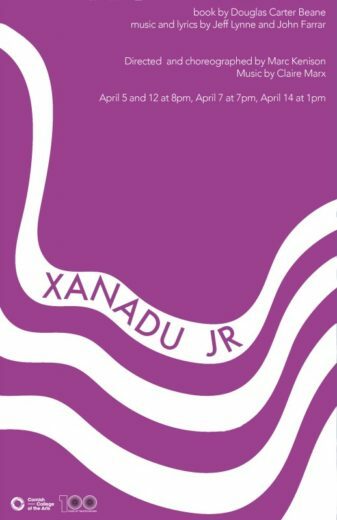 A Tony Award-nominated musical adventure based on the Universal Pictures cult classic movie of the same title, Xanadu follows the journey of Greek muse Kira on a quest to inspire a struggling mortal artist. Complications and hilarity ensue. Director Marc Kenison has directed several productions at Cornish, most recently James and the Giant Peach JR and Above the Fruitless Plain. Marc continues to light up local and international cabaret stages as boylesque superstar Waxie Moon.